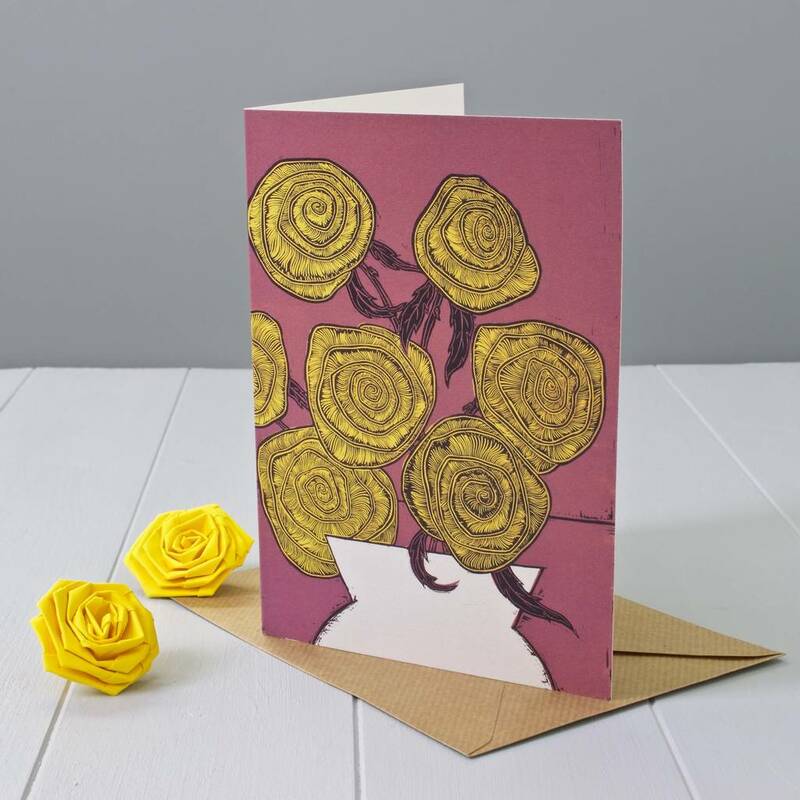 A great yellow roses greeting card for a friend or a loved one. 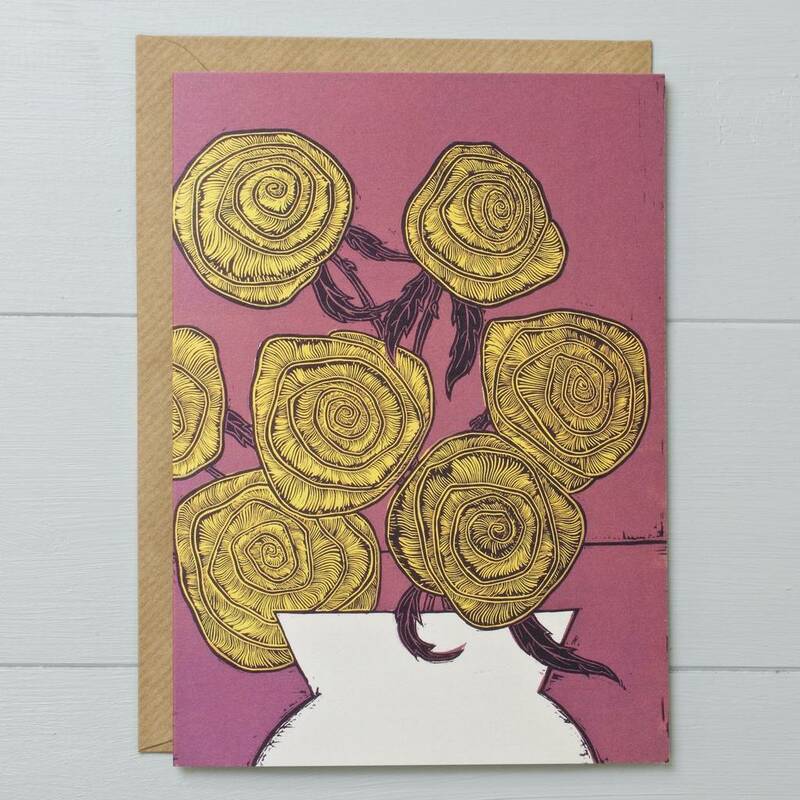 This beautiful art greeting card would be lovely for many of life's occasions. It could be used for an anniversary, birthday, wishing good luck or saying thank you and it would suit especially well those who love nature, flowers and gardening. The greeting card is a reproduction of a hand carved linocut by us.